Natural travertine tiles have been an important building material for centuries. A form of limestone named calcium carbonate, travertine is created when minerals are dissolved in groundwater and later moved by streams above ground. The most famous travertine sources were in Italy where travertine construction has been historically prominent. However, the stone can be found in many other locations throughout the world including China, Turkey, and even in Yellowstone Park in Wyoming. High-quality travertine tile is a popular and attractive wall and flooring material used mostly in high-end construction. PetraSlate of Denver, a principal supplier of premium travertine tile, offers three styles, each with unique textures, color ranges, and sizes. Antico: Consisting of varied colors including white, brown, gold, and black, this colorful tile comes from Turkey and is sized in 12” and 18” squares. Classic: Also from Turkey, the Classic is mostly beige or cream and is available in 12”, 16”, 18”, ad 24” squares. 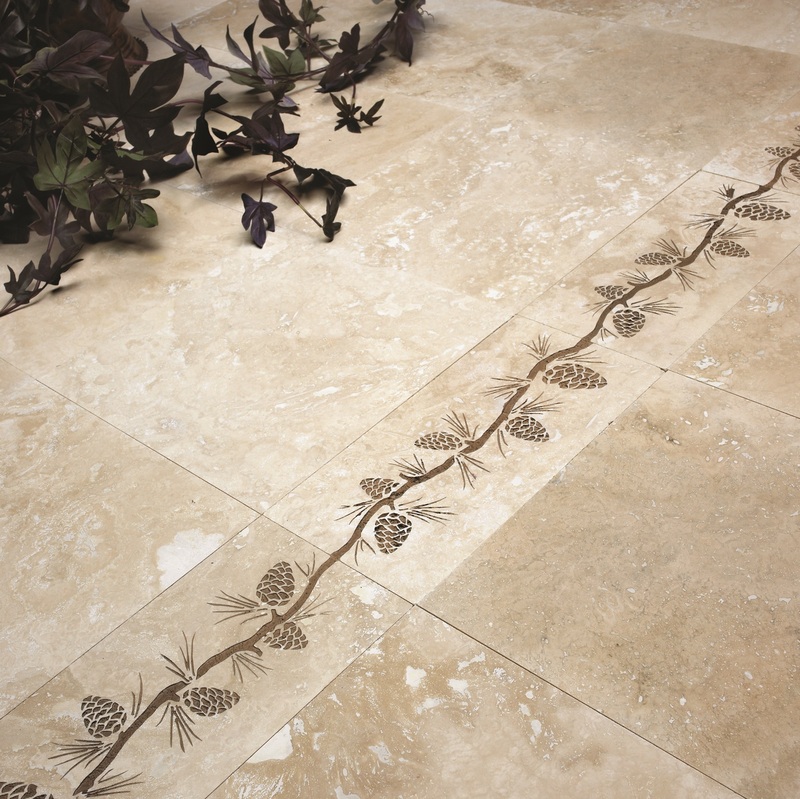 Classic Vein Cut: The light tan or cream travertine shows light veins or grain through the tile. This product is available in 12”x24” rectangular tiles. Noce: From Turkey, Noce tiles range from mocha to brown shades and come in 12”, 16”, 18”, and 24” tiles. Scabos: Containing shades of medium brown to tan plus some gray and rust. The tiles are cut in 12” and 18” square sizes. 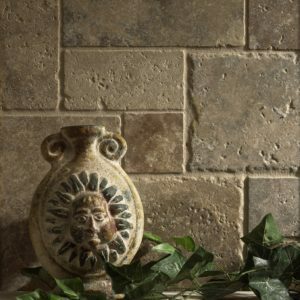 Scabos Vein Cut: This tile contains much the same color range as the Scabos, yet with the vein flow through the tile. The tiles are sized in 12” x 24” rectangles. Silver: These travertine tiles, also sourced in Turkey, are filled with whites, grays, and dark grays. The tiles are available in 12” and 18” squares. 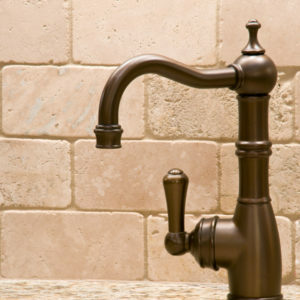 Tiramisu: Tiramisu tiles are light and creamy beige to tan. These tiles are available in 12” and 18” squares plus 12’x24” rectangles. Tumbled travertine has undergone a process that results in a rough, natural texture. Antico Tumbled: Flecked with browns, white, gold, and black, Antico travertine tiles are available in 3”x 6” rectangles and 4”, 6”, and 12” squares. Classic Tumbled: Colored in shades of beige and cream, Classic Tumbled-style travertine comes in 3”x 6” rectangles and 4”, 6”, and 12” squares. Noce Tumbled: Medium brown to mocha, Noce Tumbled Travertine tiles are available in 4”, 6”, 12”, and 18” squares as well as rectangular tiles at 3”x 6”. Scabos Tumbled: Consisting of a dark blend of tan, brown, gray, and rust, Scabos Tumbled are available in square tiles of 4”, 6”, 12”, and 18”. One rectangular size is 3”x 6”. Silver Tumbled: Colored in shades of gray, silvers and white, Silver Tumbled Travertine is available in 4”, 6”, and 12” squares and a rectangular tile in 3” x 6”. PetraSlate features their most popular Travertine Versailles tile, the California Gold Versai 16. This multi-colored and multi-shaped travertine tile is designed to create the traditional interlocking Versailles pattern. Using four rectangular shapes the design establishes an elegant effect for entryways, living rooms, or kitchens.